Do Alton Towers still do the 'queue jumper' thing at an extra cost? It's years since I've been - I was so annoyed at the idea of paying extra to jump the queue while others patiently waited their turn that I vowed never to go back. What's wrong with everyone paying the same price at the gate and waiting their turn?! This should work out cheaper than the train ticket 2 for 1 offers as they seem to charge on the adult price. Good timing for our family trip to London this coming weekend. 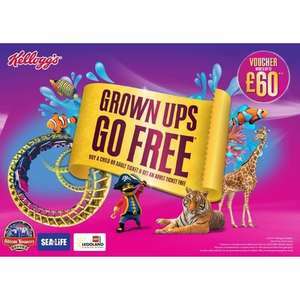 Had some codes lying about from the last run of this, aren't the codes really hard to read in cereal boxes?? You can't get the £33, 5 day advance ticket price with this. It's £48 or £56 full price with a free child, or second adult. There's 6 days left to collect 9 codes, perhaps start buying the paper earlier next time? It started on the 13th. Maybe you need to mind your own business! :) I can afford to pay and as I said, I am more than willing to swap/pay but I can’t magic old codes out of thin air! Durhhh!! Last time i and many others used same codes posted here and it worked!!! It's the holidays you don't need to buy, however you do for the theme parks. Codes are single use, unique. You need to buy 9 if booking online and 10 if you intend to send the coupons off. I also like to buy an extra copy throughout and dedicate it to the pmorely83 type messages. The offer isn’t on for the 5th May. Anyone know why? I want to see a Lego Notre Dame de Paris! The real one has been bbq'd! Hi, any spare nowtv codes please ? If anyone got a spare now tv code, could i have it please. I can swap for 3 caffe nero o2 codes on tuesday/Wednesday. Thanks. Whatwas the code on the scratch panelbefore u submitted it fatpie? Can't use on weekends? Am I reading the fine print correctly? 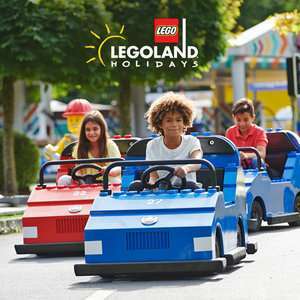 Never miss a 'Legoland' deal again! Not on the one I just my grandson in Kingston. They are still dishing out the ebook voucher ones that I think are quite old stock. Possibly these are next. Fingers crossed. 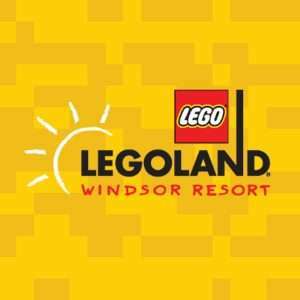 To redeem, surrender voucher at the admissions booth at LEGOLAND® Windsor Resort entrance between 15 March 2019 and 2 November 2019 (inclusive) or at LEGOLAND® Discovery Centre Manchester or LEGOLAND® Discovery Centre Birmingham between 16 February 2019 and 24 December 2019 (inclusive), subject to selected attraction closure days. Depends when you go. Don't clash when South Americans have their school holidays, firstly As they clean outlet shops out. And then if you can help it ( for shorter queues, but they won't empty outlet shops) Don't go when North Americans are on school holidays. All down to opinion and circumstances, for our 3 year old daughter it was a perfect park, no queues and plenty to go on for her. As mentioned in the original post, I much prefer Universal and Busch Gardens, but there’s far fewer attractions at them for our daughter, the queues are much longer and also much more expensive. It should be free as it’s a terrible park. The issue is you don't qualify for the deal if the child is under 3, as entry is free for this age. Basically works for 1 parent with one child age 3 onwards. The 5 year old ones are at school, so this deal is for single parents and children age 3 or 4. The kicker also is that its mandatory to have an adult and child both be there to claim a ticket, ergo if i bought 2 tickets for me and my wife to take our 2yo, we'd have to find 2 children between 3 and 17 to take with us (as under 3's don't count) or the tickets are not valid, you can't just use a ticket for a single adult or child. Otherwise i would of bought some. Does anyone know if these tickets can be used by two adults or does it have to be a child and an adult? I have just had a careful look at this and it's not hot as you can't use it on pre-bookings - it is for walk in prices only which. If you book online now it is £29, and on the day price is £47, so in reality by using this voucher you are only saving 19% off the online price. This is quite a big difference from 50% off. clubcard website says : This attraction is now closed for the 2018 Season, it will reopen again for the 2019 Season in March. Check back soon in order to book your tickets. Do you really only get 60 minutes in the pool please? You can book the hotel without park tickets on a B&amp;B basis throughout the year. Can work out cheaper if you use Tesco tokens to get your park tickets.